He was rough and iron-willed, but hearing story after story during the training, his heart began to soften. It was pierced when he heard the Parable of the Sower. John realized how badly he wanted to be the good soil that received the Word, and he knew that meant following Jesus. Soon after, upon hearing the story of Philip baptizing the Ethiopian, John told Nhamo and the others: “THAT’S ME! I WANT TO FOLLOW JESUS AND BE BAPTIZED!” And baptized he was-in a freshly-dug, plastic-lined hole in the ground filled with water. 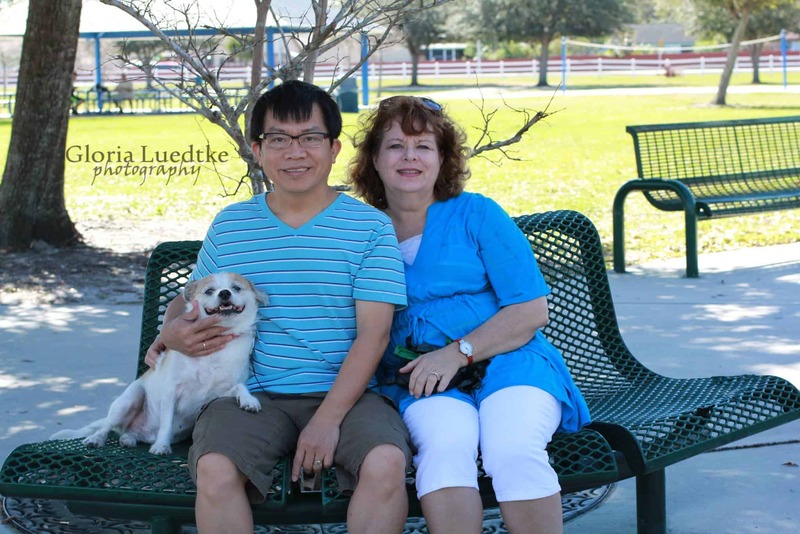 Surrendered to Christ, John Chigohi became a new man. Desiring to devote more time to learning stories and serving in his brother’s church, John left the game-hunting guide business and turned to farming. He began teaching Bible stories to adults in the church on a weekly basis, and soon ventured out into the surrounding community. It was outside the walls of the church where he met spiritual opposition. John talked about how his aim in life was “to keep teaching stories so that people can understand better what God wants them to be.” Five story groups have been meeting under his leadership, and two more are “second generation” story groups (started and led by group members that John taught). His favorite story group, however, has been the one in his own home with his wife and eight children. 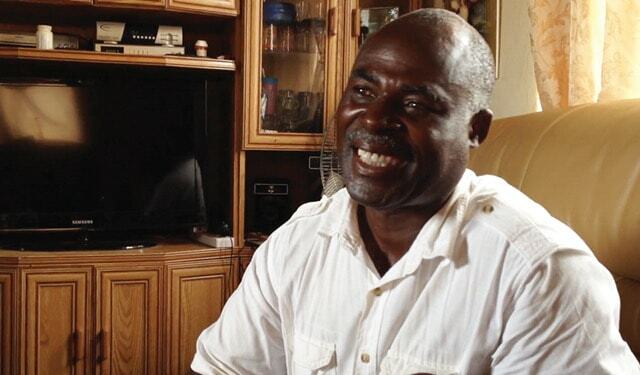 “I hope Josphat (his son) is also going to continue telling stories, even to his new friends at college”, John says. His dream is for each member of his household to lead at least one story group, somewhere. John’s health started declining in December, and on Thursday, February 9, as he was en route to the hospital, he took his final breath and his faith became sight. He is now with the One he chose to follow and serve for the last 5 years of his life. John Chigohi took to heart the story that changed his life-the Parable of the Sower. “I must be the good soil,” he said. “I must multiply.” And that’s exactly what he did. *Felix was running for his life. He had become the most wanted man in his community for drug dealing, and he knew the police would catch up with him soon. He found the perfect place to hide, where no one would ever think to look – a pastors’ prayer retreat! But as the providence of God would have it, Felix was befriended by a wise, compassionate pastor who led him to faith in Christ. Today, Felix is a changed man and a pastor himself. When Al and Nancy (StoryRunners staff living in the Philippines), met Felix and invited him to participate in the Cebuano School of Storying two years ago, he eagerly tried Bible storying in his own congregation. “My people (in my church) no longer fall asleep since I started telling them stories,” he told Al, and soon Felix was learning how to lead storying trainings himself. The following year, Felix (photo below) helped with an SOS among an unreached language group in another area of the Philippines. Of the 12 SOS participants, one was a secret follower of Jesus, and all represented a religion that has been hostile to Christianity for centuries. Yet they eagerly learned the Bible stories and were even happy to record them with our StoryRunners team. During the closing ceremony of the SOS, Felix confessed to the entire group why he had been hesitant to come to help with this language group. “Your people killed my grandfather, but I have forgiven you. I’m glad I came.” Suddenly one of the participants stood up and spoke. “And my grandfather was killed by YOUR people. But I forgive you, too!” The two men hugged each other and shed tears of healing as the rest of the group watched walls crumble and bridges being built between two warring cultures. “Now we know more about the Christians’ Bible than we do about our OWN book,” the other participants rejoiced. “We didn’t know what the Bible teaches about Jesus.” Some also shared, “You treated us like family!” They learned that summer that the weapons of Jesus’s followers are not guns, but the bullets of love in action through the power of the Spirit! 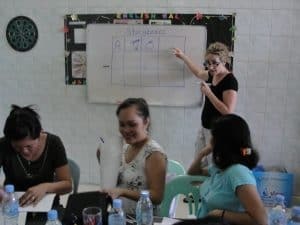 Please pray for the graduates of the two Schools of Storying held in the Philippines, along with many others whom Al and Nancy have trained in storying. Many of these are now networking with other believers in very closed southeast Asian countries, teaching them how to share the gospel orally through Bible stories! 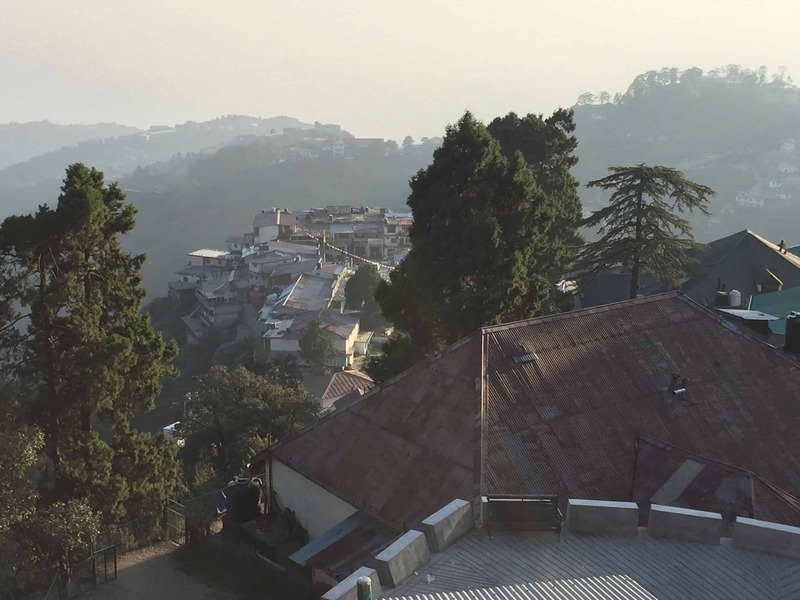 They live tucked away in a rugged mountain region where roads are merely mule tracks and footpaths that wind endlessly around the outer slopes of the Himalayas. Snowbound in their villages for up to four months a year, they must live entirely on what they’ve stored away before winter. 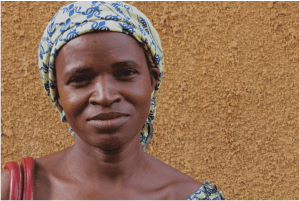 Though there are nearly four million of them, only a handful of believers exist. Statistics show there are 0.0% Christians among them. 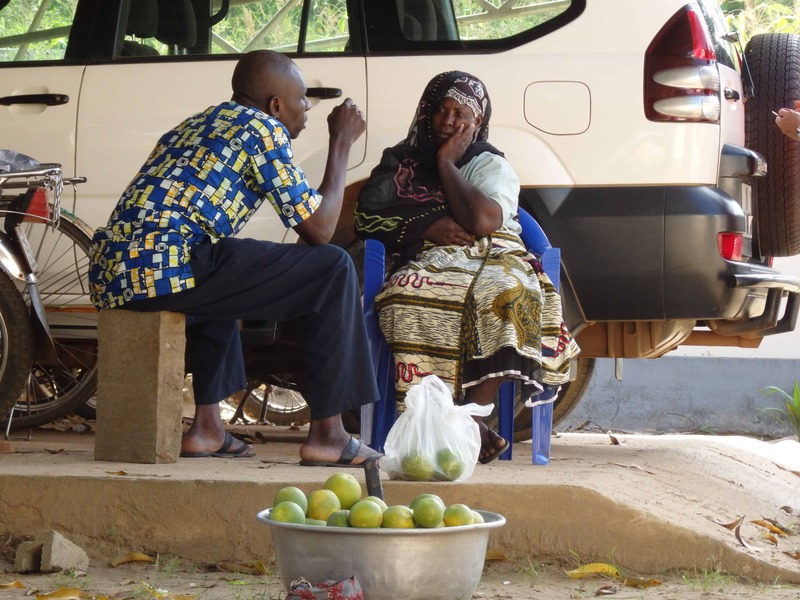 Pray for these Iraash* believers as they begin story groups among their people. Thank you for your partnership that has made it possible to take His Story to them. So what’s happening today among the Tem people? Fourteen of those 19 SOS graduates are leading at least 2 story groups each, and one of those is a “2nd generation” story group – started by a member of an original group last year who stepped up to be a leader himself. New churches have been planted as a result of these story groups. And people in an unreached language group are coming to Christ. 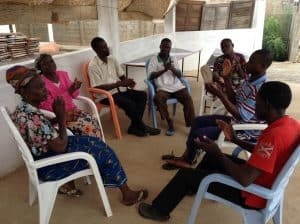 One village leader who practices the local non-Christian religion actually began hosting a story group in his home because he witnessed the miraculous healing of his wife after a Christian prayed for her. Still, local villagers put so much pressure on the man that he had to discontinue hosting the group. 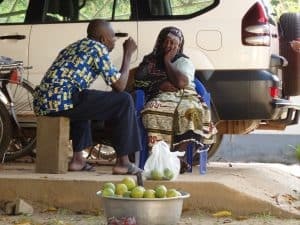 But imagine the excitement of our Tem story group leader when the village leader then offered to buy land so that the group could have a permanent, and safe, place to meet! 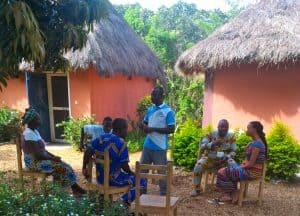 Two years ago when a different led a School of Storying with another unreached people group, the Anufo, they struggled with participants and translators. Falling short of the 18 desired, they forged ahead with only 13 participants and completed all 42 stories in the Anufo language. Our team prayed for them and encouraged them to persevere and start story groups everywhere they could. Today? Nearly 200 people are meeting in story groups throughout six different villages — led by these faithful SOS graduates! 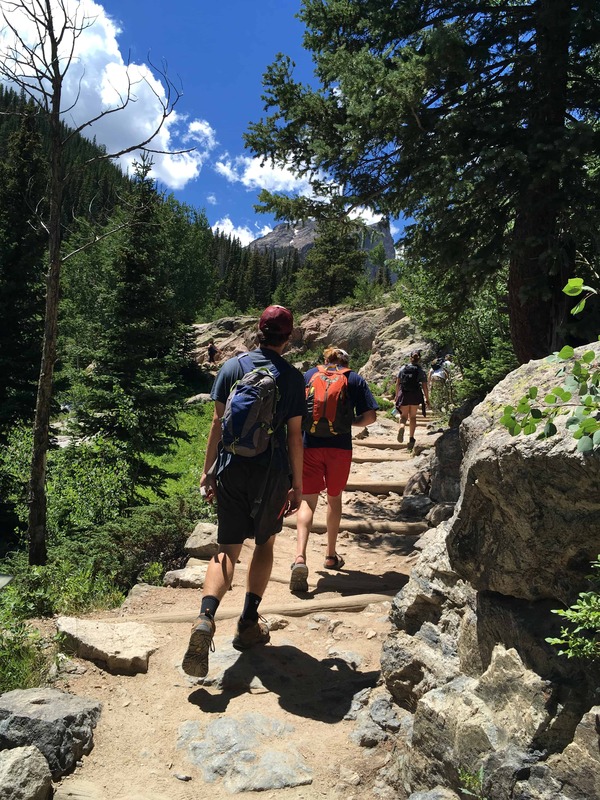 College students from campuses all over the country shared a week together in the Colorado Rockies this summer, conquering way more than the fear of the rugged outdoors. Leaving their comfort zones below the timberline, they quickly learned how to initiate spiritual conversations by sharing stories from the Bible. The result? 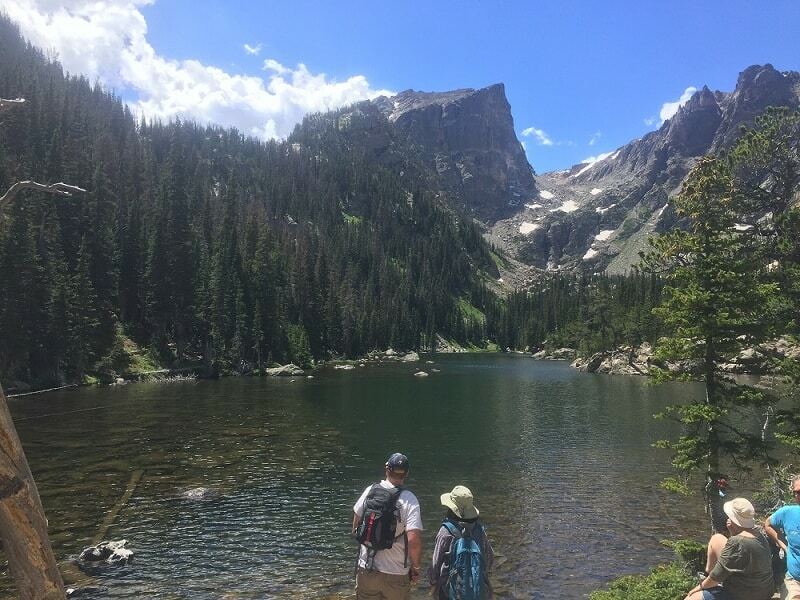 Nearly 250 visitors to the Rocky Mountain National Park heard about God’s love for them and had a chance to respond. And the best part? These students returned to their campuses this fall with a powerful tool for reaching their peers! Kelsie (a Florida sophomore) shared this after returning home: “At a youth Bible study, when the leader read the Scripture passage about the pearl of great price, I was sitting there thinking, ‘They aren’t getting it. Say it in a story!’ So when they let me chime in, I retold the passage in the form of a simple story. I wish you could have seen their reaction. And they were able to answer the questions better. I am so excited!! !” This semester Kelsie is involved in a Bible study with international students on her college campus. Serving as a translator for the Aja (Benin) School of Storying, Dodji sensed God’s invitation. “But how could someone like me ever become a servant of God?” Young, single and inexperienced, he couldn’t see it. But God could. Coached by Parfait Mitchai, Dodji began his missionary training by sharing the gospel on a nearby campus using oral Bible stories as one of his strategies. But Parfait wasn’t finished recruiting. As Dodji and Doriane began working together as trainers for the Fulfulde SOS, our American trainers could see that God was up to something. “They think alike, their personalities are so similar,” Hallie remembers. “They even have the same sense of humor!” Mie, a StoryRunners intern, agreed. So, as might be expected, Hallie and Mie put their matchmaking skills to work. It didn’t take much convincing. After a year of preparing and getting to know one another, Dodji and Doriane were married last May in a beautiful ceremony that several of our StoryRunners’ staff were able to attend. 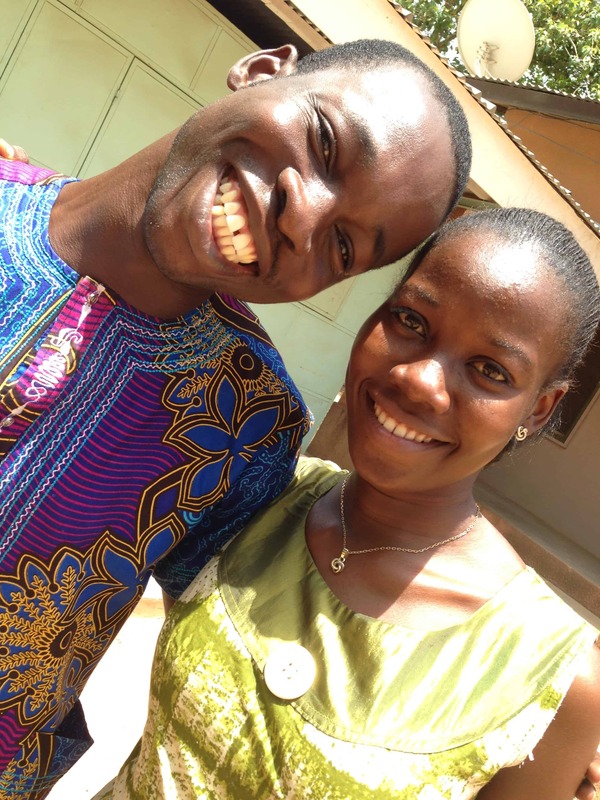 Dodji and Doriane will be dynamic and strategic in the work of nationalizing StoryRunners’ Schools of Storying in the entire region of West Africa. Together, they have already begun training many local believers and will be leading SOS’s for many unreached languages in the future. Meet Sharon—wife and busy mother of one high- schooler and one college student—from north central Texas. So how did ONE WEEK in Orlando, Florida become, as she says, “one of the greatest gifts in her life”? Back up to October 2010. Involved in a local church in their area, Sharon and her husband were in search of new ways to minister within their congregation and beyond. 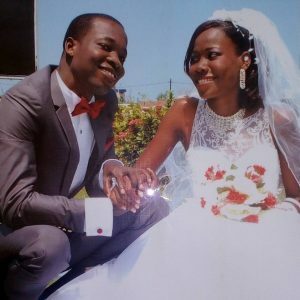 After hearing about a 5-day training in oral Bible storying, the couple set aside a week, made arrangements for their kids back home, and headed to Florida. What they learned and brought home with them was life- changing. “Within 3 months, our church had asked me to lead and teach a women’s group in Bible storying. In another 3 months, I found myself on a church- sponsored trip to the Middle East where we ministered to women in Jordan through storytelling.” Imagine the joy she had standing on the banks of the Jordan River, telling a diverse group of tourists the story of Jesus baptizing people in that very place! Later, she shared with Jordanian women from broken homes the story of Moses—of how God uses the broken to be His messengers of hope. 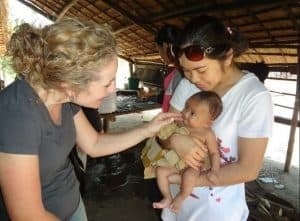 “Then the following year, I traveled to Cambodia, partnering with long-time missionaries in training pastors and church leaders from Thailand, Cambodia and the Philippines,” Sharon says. 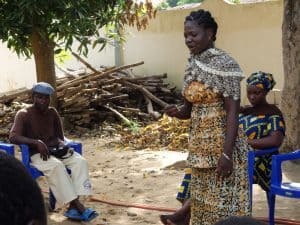 She taught them how to use oral Bible storying, and as they practiced their newly-acquired skills in the afternoons, Sharon and her group went outside the city to camps where they ministered to children. “It was beautiful to hear the creation story delivered to the children in their own language, and then to see the children delighting in answering the questions after the story,” she recounts to us. “I hardly opened my mouth to talk to anyone,” Corine* confessed. “Before coming to the School of Storying, I was quiet and reserved, and never knew how to talk to people about God.” But learning to tell stories has been life-changing for her! “It is like the Lord gave me a voice and filled my mouth with the words,” she says. 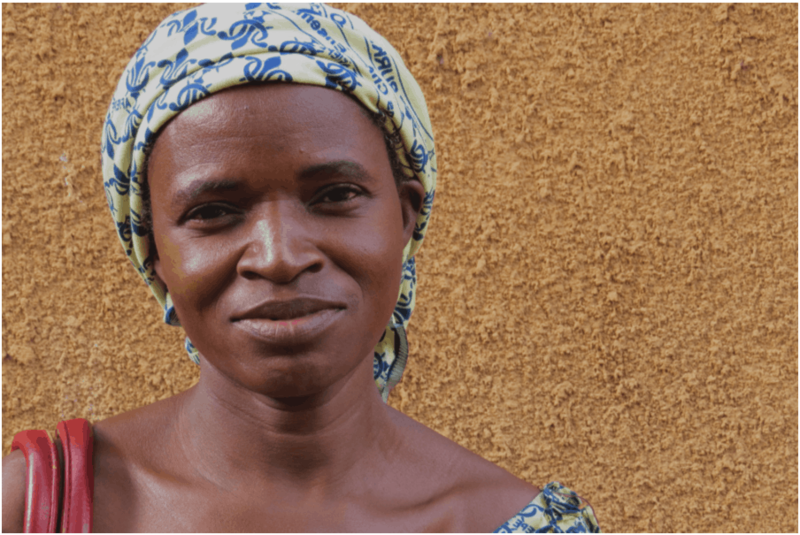 “I can tell these stories boldly and with confidence.” Even her family and friends remarked about the difference, and Corine even found herself chosen to share a story at a nearby radio station!